↑ German National Library, Berlin State Library, Bavarian State Library et al. Record #13507584X // Gemeinsame Normdatei — 2012—2016. ↑ Zegel, Maureen (March 27, 2012). 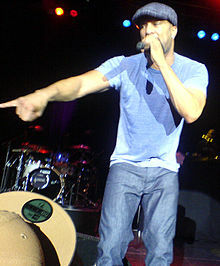 "Rapper Common to bring his message to UMSL". UMSL Daily. ↑ Williams, Thomas Chatterton (May 11, 2011). 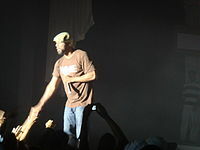 "By inviting Common to the White House, Barack and Michelle Obama miss a golden opportunity". Daily News. ↑ "Common to throw White Sox 1st pitch". ABC 7 Chicago. April 13, 2012. ↑ "UMPG writers and artists receive best R&B Song of the Year Category at Grammy Awards". Universal Music Publishing Group.